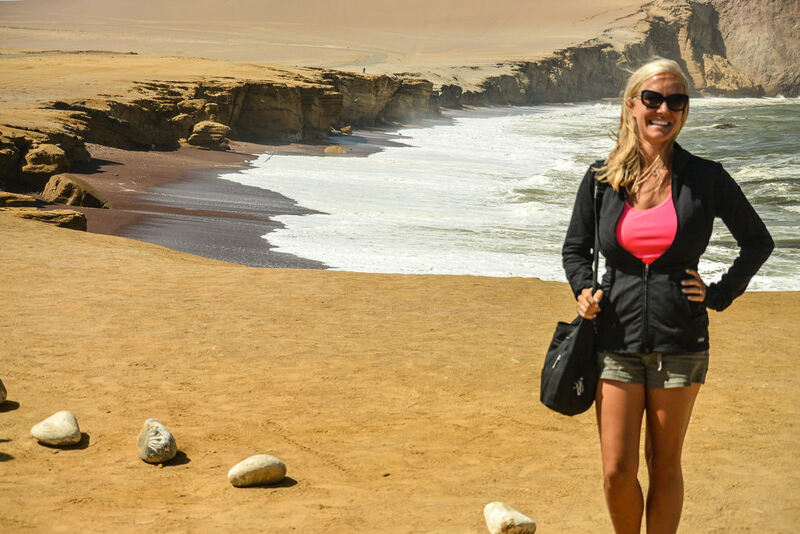 I had just two short weeks to spend in Peru, but SO much I wanted to do and see. I tried to make the most of my time (and money!) 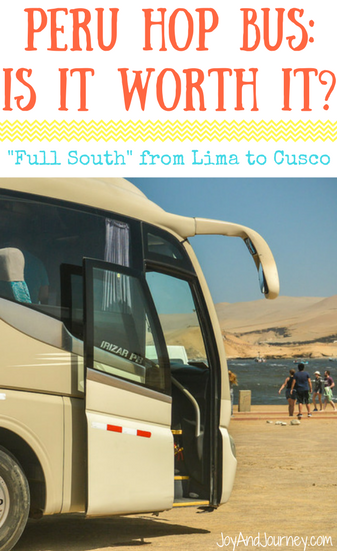 by using the Peru Hop bus from Lima to Cusco. What the heck is Peru Hop? Peru Hop is a hop-on, hop-off style bus that goes throughout the southern half of Peru from Lima to Cusco, hitting the major tourist attractions along the way. The main selling points of the Peru Hop bus tour are the social aspects of the experience, major discounts on accommodation and activities, superior bus safety, and the convenience of being picked up and dropped off directly from your hotel or hostel (no need to take a taxi to the bus terminal). Peru Hop – Is it Worth It? 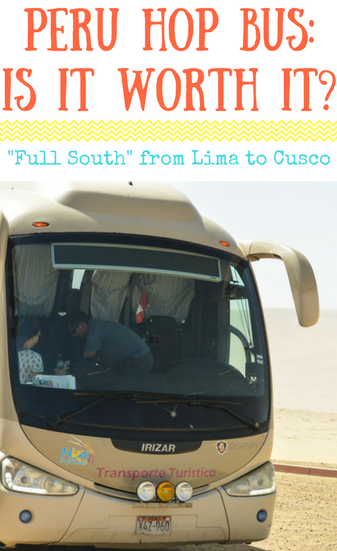 It doesn’t get more convenient than Peru Hop in terms of bus travel. With almost every other bus service, you’d need to take a taxi to and from the bus terminal after every single journey. Not so with Peru Hop. 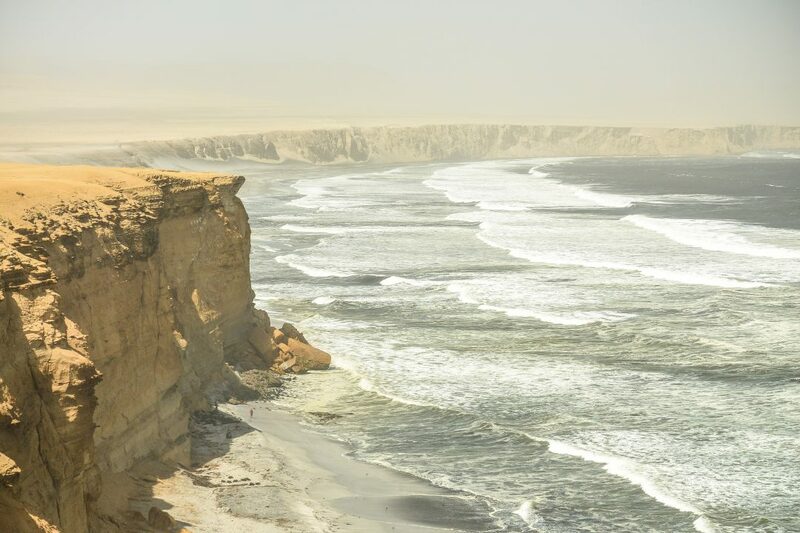 Included in the price of the pass is hostel/hotel drop off and pick up at every single stop EXCEPT for Paracas and Huacachina, which are so small you could walk to the furthest hotel in less than 10 minutes. While this might not seem like a big deal, if you’re well-versed in Latin American travel, you know how obnoxious it can be to deal with taxi drivers, especially after a somewhat sleepless overnight on a bus. You either end up haggling for way too long and wasting your time, or you take an overpriced fare and waste your money, especially late at night and early in the morning . Either way, no bueno. Peru Hop is also super convenient in that they’ve already done all your necessary research for you. 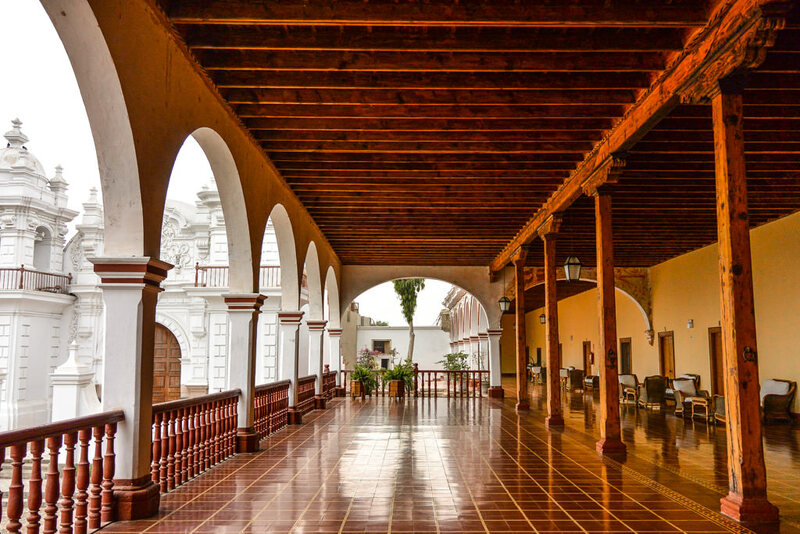 The Peru Hop guides suggest the best activities at each location (usually with a few varied length and price options), with pricing at a group discount. 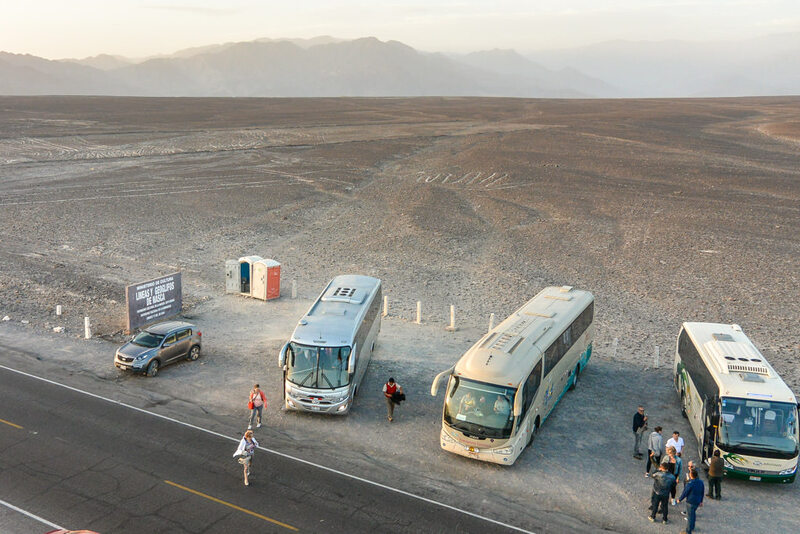 Peru Hop even has free activities arranged at certain stops along the route, including viewing of the Nazca lines, a Pisco distiller, and historic slavery tunnels. 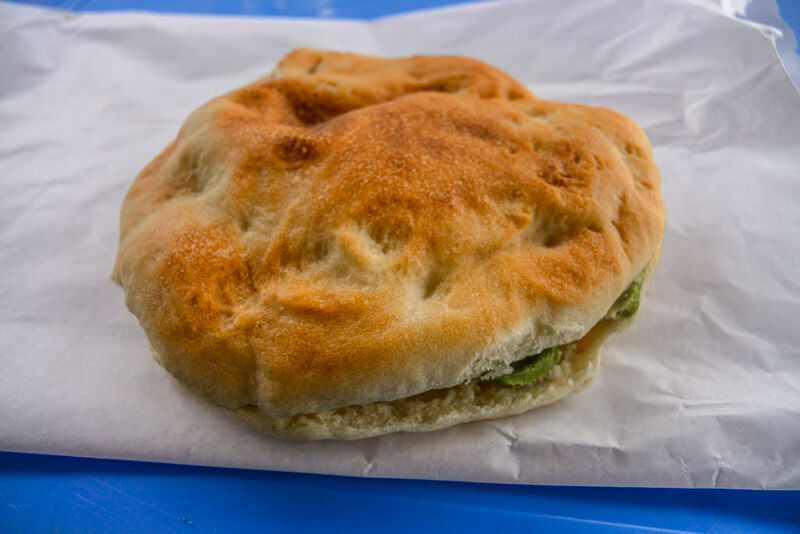 If finding a delicious, authentic (and inexpensive) place to eat is among your concerns, Peru Hop also has it handled with pre-planned food stops. There’s even always a vegetarian option that can be veganized. Peru Hop has also worked out special deals with recommended hotels and hostels, so you get the best price without needing to spend hours on Agoda. At each overnight stop, Peru Hop provides a selection of accommodation options, ranging from super budget friendly dorm rooms to luxurious private rooms at resorts with pools. If you’d rather go with your own choice of hotel, that’s fine too! In most cases, I booked the hotel myself because I wanted to use up Agoda points, and it was no problem. 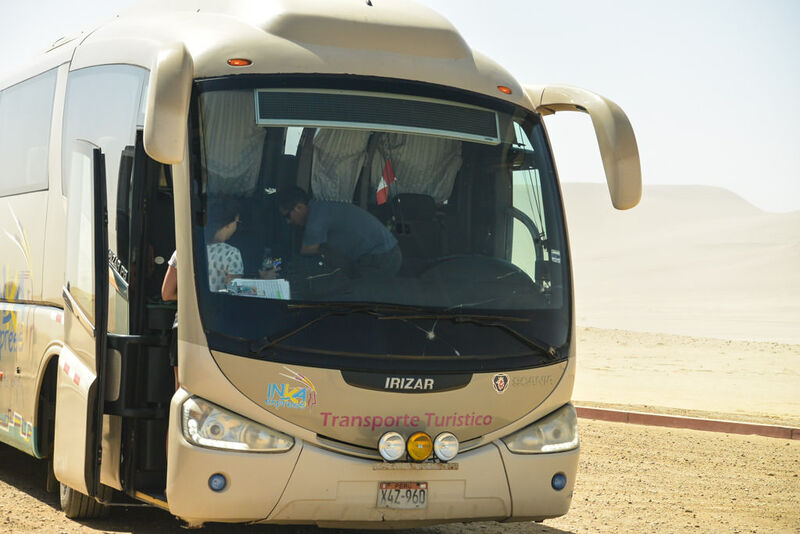 The Peru Hop “Full South” bus tour was created to maximize a traveler’s experience in a short period of time. You only need SIX days minimum to visit Lima, Paracas, Huacachina, Nazca, Arequipa, Puno, and Cusco (with a few extra free stops for free tours thrown in). Seriously! I had two weeks, which I felt like was the perfect amount of time, especially if you want to work in a trip to Machu Picchu and a few overnight stays in some of the other cities. Peru Hop was a VERY social trip. At each stop, the Peru Hop guide organizes group dinners, activities, and bar nights to make it easier for people to socialize and meet one another. The hostels they recommend also usually have a strong party, social vibe. Even if you don’t go out of your way to make friends, you won’t be able to help it. You’ll run into the same people multiple times throughout your trip, maybe meeting up at later stops, or when you’re on the same organized group activity. 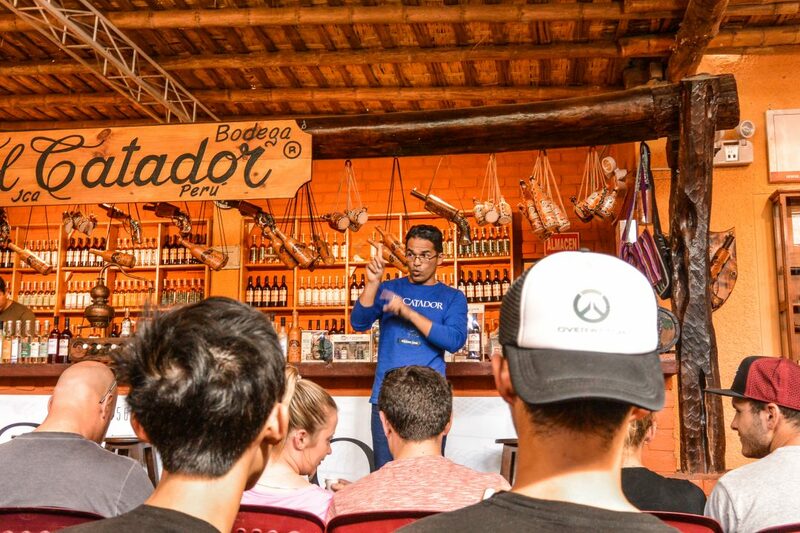 Peru Hop free activity: Pisco tasting! This is an awesome option for a solo traveler who worries about making friends and having fun. It’s also great for friends or couples who want to meet new people on their trip but don’t get approached as often because they’re not solo. My husband is an international security consultant, so safety is always on my mind, maybe too much. Peru Hop deserves an A+ in terms of security. Anytime I take a bus, I worry about two forms of robbery: within the bus, and bus hold-ups. Within the bus, I didn’t worry about stealing at all. There’s a sense of community with travelers, and I felt my possessions were totally safe. 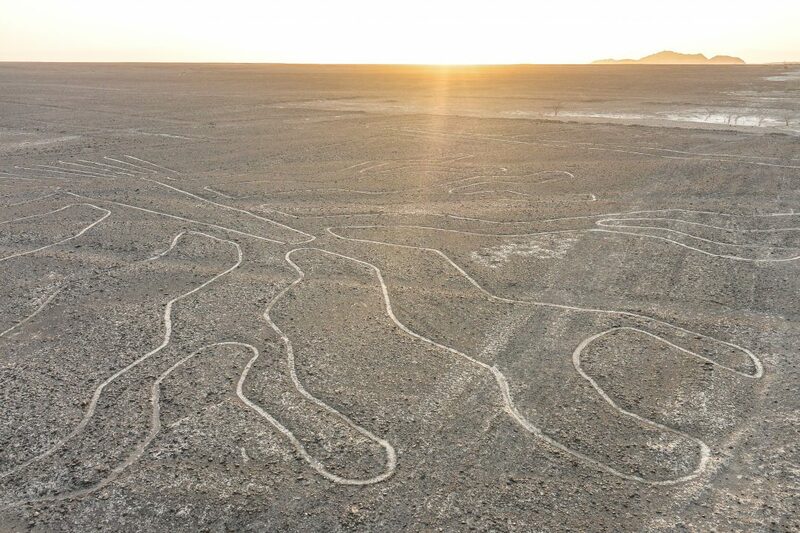 I even left my laptop in the seat back when I went on the Pisco tour and to the Nazca lines. Southern Peru has been struck by a string of bus hold ups, especially in remote areas. The Peru Hop buses are equipped with 24 hour GPS monitoring, which would instantly inform the guys at HQ if the bus was taking an unplanned stop (i.e. a hijacking or armed robbery). Another concern when taking buses around the world is the safety of the drivers. I’d been subjected to drunk drivers in Cambodia, sleepy drivers in Thailand, and speeding drivers all over the world more times than I’d like to count. With Peru Hop, every long bus ride is manned by two drivers, so no one gets too tired. The bus has an internal speed limit system, which sets off an alarm if the driver goes too fast. As a usually solo female traveler, I haven’t always felt safe on overnight buses. I have been in a few sketchy situations with very creepy bus drivers and fellow passengers that were behaving oddly with no one to turn to. That’s not an issue with Peru Hop. There is always a guide present, and anyone who feels uncomfortable can always tell the guide who will help you find a more suitable seat. When the bus has arrived, as mentioned above, you don’t have to worry about being in a taxi at 4am alone, as Peru Hop drops you off, safe and sound, directly to your accommodation. Choosing a reliable transportation option is a valid concern, especially in Latin America, and especially if you’re on a strict time frame. Peru Hop was extremely reliable. We always arrived to our destination on time, if not early. The pickup times provided were also always on time, more or less, with the longest wait being 30 minutes which is VERY good especially in South America where timeliness isn’t always a priority. I didn’t worry about the bus being canceled, or breaking down, or being left stranded somewhere on the side of the road and missing my tour. The buses themselves looked pretty new and in good condition. If something did happen, I wouldn’t worry, as the customer service at Peru Hop were responsive, quick, and English-speaking. The presence of the guide on the bus at all times also meant there was someone on top of thins. The company is run by a few Irish guys, which also set my mind at ease. No offense, South America, I love ya, but you’re not quite known for top-notch service standards. You can book local buses for each stretch of the journey for cheaper than the Peru Hop ticket, that’s true. 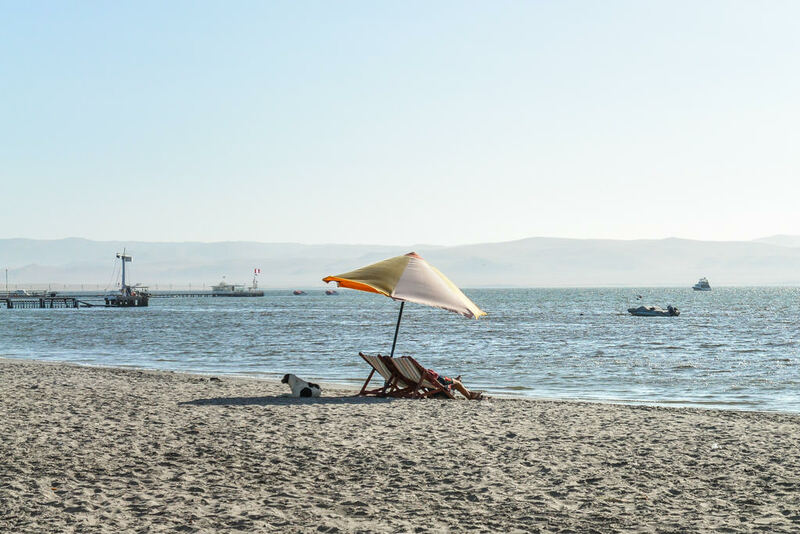 But you’ll also be foregoing the free activities, losing the savings of being dropped to your accommodation (and not needing a taxi), not getting Peru Hop hotel and activity discounts, and spending time researching which accommodation and activities to book. If you are on a super strict budget, though, Peru Hop is probably not your best choice. In general, buses in Latin America are not the most luxurious choice. Peru Hop is no exception. One of the buses I was on was quite comfortable, with big wide seats and a generous recline, but the others looked and smelled old, had cramped leg space and narrow seats (and I’m 5’2″, so I can’t imagine how tall guys felt). While it says online that seats come with USB ports, none of the buses I was on had this amenity. If you’re looking for luxury, it’d be better to fly or rent a private car. 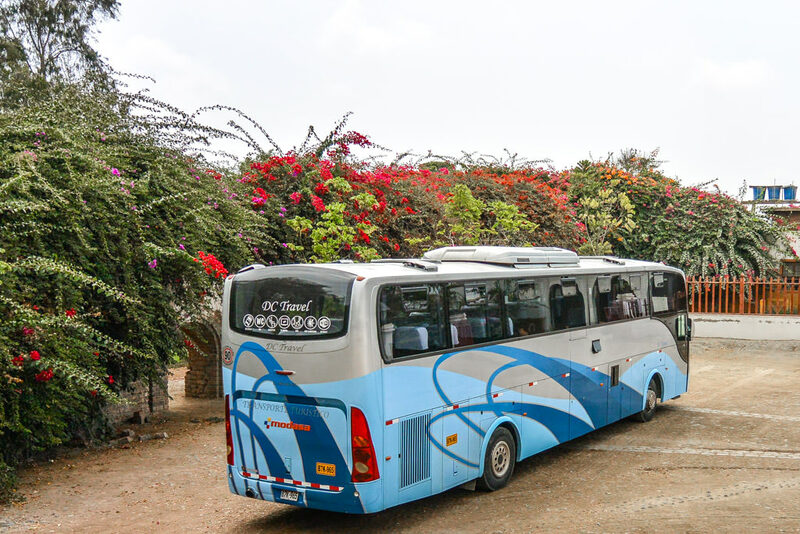 The bus company Cruz del Sur is also much more comfortable and luxurious, with individual TVs, almost fully reclining seats, and even a “hostess” (but you will need to taxi to and from the bus station, arrange your own accommodation and activities, and miss out on the social aspect of Peru Hop). Was Peru Hop worth it for me? I enjoyed the convenience, safety, sociability, and reliability of Peru Hop. The provided tours were awesome, and the optional (paid) tours were excellent as well. In the future, I’d love to see bus upgrades. I, for one, would be willing to pay more for a PeruHop experience combined with Cruz del Sur-style bus comfort. While I was a complimentary guest of Peru Hop, all of my opinions and advice remain my own. Would you do a hop-on hop-off bus? Why or why not?